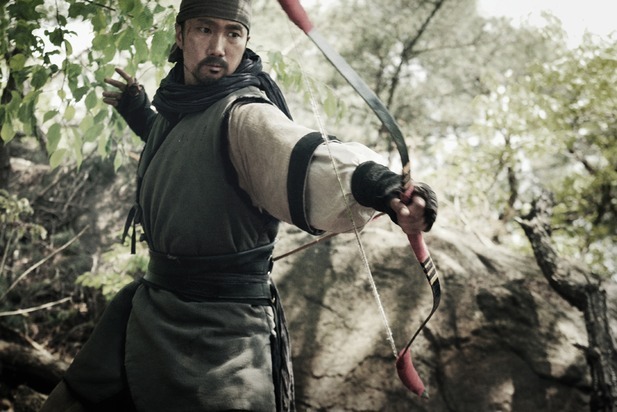 South Korea’s Lotte Entertainment has done a raft of deals on KIM Han-min’s period action film <War of the Arrows>, including to Showgate for Japan. Starring PARK Hae-il as a man out to save his sister and her fiancé from Northern invaders, the film was the biggest domestic film hit in Korea last year. With 7.46 million admissions, it was second only to<Transformers: Dark of the Moon>, which took 7.79 million admissions. <War of the Arrows> was also sold to Right Advice for France, Madman for Australia and New Zealand, Borsalino for Latin America, KPRG for Thailand, and Hwa Yea for Malaysia. At the American Film Market in November last year, the film also went to several other territories including Showbox for the UK, Splendid for Germany, and CJ America and Well Go USA for North America. Lotte Entertainment has also sold the action thriller <S.I.U. (Specials Investigations Unit)>, directed by Hwang Byung-gug (<My Wedding Campaign>), to Rainbow Entertainment for Indonesia and Malaysia. In addition, the company has sold the romantic drama <Pain> to SPO for Japan and STG for Thailand. The love story between a man who cannot sense anything and a woman with hemophilia was directed by KT KWAK (also known as KWAK Kyung-taek), starring KWON Sang-woo and JUNG Ryeo-won. Lotte also sold director LEE Jeong-hyang’s drama <A Reason To Live> (also known as <La Quotidienne>) to STG for Thailand and Hwa Yea for Malaysia. Lead actress SONG Hye-kyo won a Women in Film award for Best Performance last year for her starring role in this film about forgiveness and capital punishment.